If ever there were a holiday that needed a good dose of bourbon at the table, it’s Thanksgiving. Between navigating family drama and dealing with the stress of cooking, a large glass of the good stuff is definitely called for. 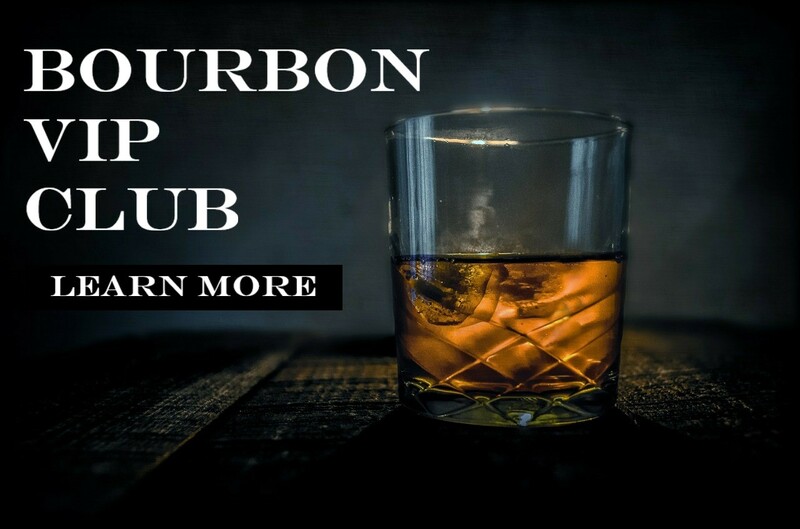 Bourbon doesn’t have to remain relegated to just the glass, though. This Thanksgiving, move your bottle from the bar to the kitchen (who are we kidding, just buy an extra bottle) with these bourbon recipes that cover the Thanksgiving meal from beginning to end. We tested out a few of the recipes to make sure they were as yummy as they sounded and have included a few notes to help make your cooking time a little easier. For these tests we used Woodford Reserve (for the two dinner items) and Maker’s Mark (for the appetizer and dessert) — both are of a good quality for cooking, are moderately priced, and are fairly easy to find most places. We chose to use Maker’s Mark and Woodford Reserve for our dishes, but you can substitute your favorite Bourbon in any of the recipes below. Pillsbury put together this savory snack that goes perfect on your bar or on the appetizer table. It’s really easy to pull together (buying premade Chex Mix certainly helps) and very satisfying. The bourbon isn’t cooked out, but it’s only 2 tbsp worth, so it should be fine for the kiddos. Find the recipe for Kentucky Bourbon Bacon Chex Mix (say that five times fast after a few drinks) here. Nothing screams Thanksgiving like cranberries, and nothing makes those cranberries mellow the hell out like a good soaking in bourbon. This tasty treat is super easy to make, only requires a few ingredients, and looks absolutely gorgeous on a fall table. I tested out this super ooey gooey bourbon appetizer, and it will definitely be on my table this year. It was delicious, but now I know that next time it needs to have the sugar dialed back a bit. This bourbon dish was incredibly easy to make, but will impress any guest (who isn’t allergic to nuts or dairy). It feels super decadent without requiring a lot of effort, though if you don’t have maple syrup on hand it can be a little pricey. The end result was a bit too sweet — to the point where it overpowered the other flavors. Next time I’d cut back on the maple syrup or the brown sugar a little to give the cheese and bourbon a bit more opportunity to shine. A little dash of cracked black pepper also added a nice touch, and it served great with the crackers, but even better with the apples. We tested the Baked Brie with Bourbon Candied Pecans. It was easy and delicious, but perhaps a bit too sweet. The centerpiece of your meal deserves some extra love this year, and Woodford Reserve has a really nice bourbon turkey brine recipe, along with a bourbon turkey glaze that does not skimp on your favorite ingredient. As long as you can find sorghum, this bourbon Thanksgiving recipe adds a great new twist to your regular brine. Prefer Marker’s Mark to Woodford Reserve? Here’s a Maker’s turkey brine, along with a bourbon turkey gravy. You probably have most of what you need in your pantry already, but you will need to pick up a few fresh herbs to help bring out those holiday flavors. A Thanksgiving ham may play second fiddle to the turkey, but if you decide not to brine the turkey in bourbon, give this Woodford Reserve bourbon glazed ham a try, instead. If you want to get extra fancy with it, make the accompanying fruity Cumberland Sauce (also full of bourbon). If the traditional turkey or ham aren’t quite your thing (or if you have pescatarians at your table who like a little more than a plate of sides), this Crispy Bourbon Glazed Salmon fits the bill. The glaze does not skimp on the bourbon, and it’s all fairly easy to put together, so it won’t take up too much of your cooking time. I gave this one a test for an easy weeknight dinner. This sauce turned out so tasty — well balanced, a little (but not too) sweet, with just enough bourbon to put a little heat in the back of your nose. However, my sauce never thickened upon standing, so it was just too thin. To modify this I would use the sauce as a marinade and a basting liquid instead. It would penetrate the salmon more and help get a better crisp on it under the broiler. Our Crispy Bourbon Glazed Salmon didn’t crisp up the way we hoped, but was tasty nonetheless. The Spicy Bourbon Glazed Carrots turned out perfect in both texture and flavor. Sweet potatoes and bourbon are a match made in southern heaven, so it’s only natural that they go together on your Thanksgiving table. This recipe from The Roasted Root is definitely easy, but you’ll need to make a much bigger batch for a large group. You’ll also probably want to keep these reserved for an adults-only feast as the bourbon doesn’t get cooked out. Carrots add a nice touch of color and sweetness to the menu (especially if you’re not a fan of sweet potatoes), and these carrots end up being both beautiful and tasty. I cooked them for dinner alongside the salmon, and they turned out perfectly. The cook time in this bourbon Thanksgiving recipe from The Chunky Chef is spot on, giving you a nice, soft texture without being mushy. The only thing missing was the spice in the title, so you can go a little heavier on the cayenne if you’re looking for a kick. And be sure to stay on the low end of what is suggested for the brown sugar — you don’t want to lose the natural sweetness of the carrots. Are you one of those people who just walks on by when you see the ooey gooey deliciousness of a traditional pecan pie on the dessert table? If you want to try something different this year, try making this Bourbon-Chocolate Walnut Pie from Food Network. The dough definitely needs some time to rest, so be sure to make it the night before and enjoy a few glasses of your cooking bourbon after you get it in the fridge. Food Network knew what they were doing adding liquor to this recipe, because this bourbon dessert is just begging to be made this Thanksgiving. This cheesecake looks incredibly delicious and surprisingly simple (with a pretty easy ingredient list). Pay special attention to the note at the bottom about using either cooked fresh pumpkin or high quality canned pumpkin, NOT pumpkin pie filling. What’s pie (or cheesecake, or ice cream, or just about any sweet for that matter) without a hefty dollop of whipped cream? Skip the hydrogenated oil junk and make your own — with bourbon. Yep, bourbon whipped cream is a thing, and now it’s your thing. Four ingredients, one tool, that’s all you need to set your desserts off perfectly (it also goes great with warm bourbon drinks). These bourbon balls are so easy to make the kids could do it. But they definitely shouldn’t, because there’s a lot of booze involved (yay!). They’re yummy, simple, and can be made ahead of time (you’ll want to give them another quick roll in powdered sugar before setting them out). I tested this recipe out, and I’m glad I did. Besides the balls being a nice treat that I will make again for holiday gift trays, I learned a few things along the way. For one, the recipe from Liquor.com suggests just a little too much in the way of Nilla Wafers. Instead of dumping in the whole 10 oz of cookies (which is just one oz shy of the total box), I’d dump about half and then add more gradually. My batter was just way too dry from the pecans and cookies, so I had to add more bourbon (and, though this may come as a surprise, it was just too much bourbon). Also, be sure those cookies are ground up very fine — you don’t want any chunks at all. Otherwise, this is fun to make — there were even some fun little fireworks going off in the mixing bowl — I’m assuming the bourbon was interacting with the cayenne, but that’s a food science question for another day. Last tip: If you’re feeling extra bold, try sprinkling just a touch of the cayenne on the top for an extra surprise. These Bourbon Balls are a simple and delicious treat and a perfect gift idea for any friends who likes to eat their Bourbon. So there you go. Here’s hoping these recipes help get you through the holidays with a little extra cheer and a lot more yumminess!